​Kevin Harlan...what are you doing man? 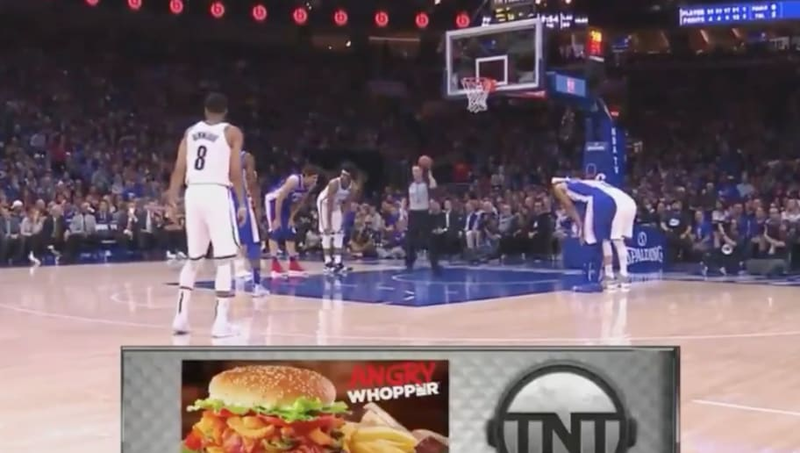 In the middle of a ​heated playoff matchup between the Brooklyn Nets and ​Philadelphia 76ers, TNT came back from commercial with a brief shoutout to their sponsors. Among them is Burger King, which is pushing their campaign for the 'Angry Whopper', something we didn't know existed until Harlan added some extra emotion to the otherwise dull moment. Harlan might actually be mad at Burger King and TNT for making him do this stunt. Either that or Harlan is hangry. We don't have any answers, we only ask that Harlan never make that voice on air again, for the sake of his listeners.